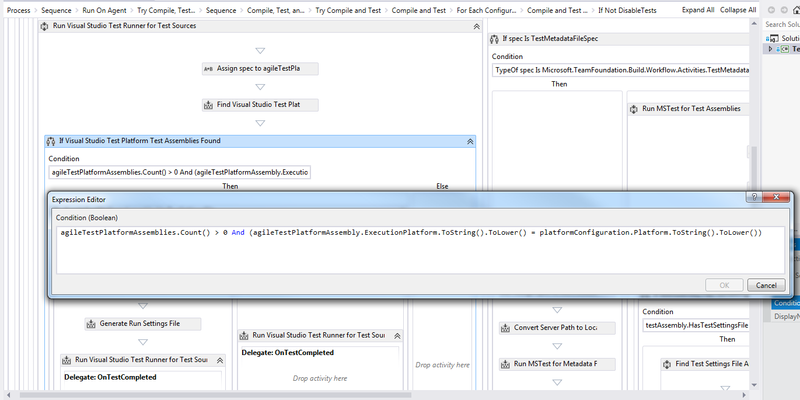 Shortly after our team installed VS2012 Update 2, I noticed our automated builds failed when executing unit tests. TF900546: An unexpected error occurred while running the RunTests activity: ‘Method not found: ‘Void Microsoft.VisualStudio.TestPlatform.Utilities.ClientUtilities.InitializeTestPlatform(Microsoft.VisualStudio.TestPlatform.ObjectModel.Client.ITestPlatform, System.String, System.Collections.Generic.List`1<System.String>)’.’. These problems didn’t occur when running tests locally. I updated the build machine with VS2012 Update 2 and still no luck. After failing to find any helpful information on the Internet, it hit me: the build machine doesn’t use VS2012 to run the builds. In fact, VS doesn’t need to be installed on the build machine at all (although it can be helpful when troubleshooting other issues). I downloaded TFS 2012 Update 2 and installed it on the build machine. SUCCESS! 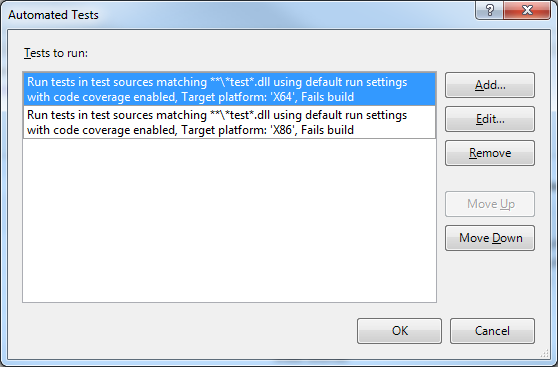 No more failures when executing our unit tests on the build machine.